Business owners contemplating the sale of their company need to think hard about the type of buyer it might attract. This article describes the types of buyer we come across most often in our work as a UK business broker – and the types of company they are looking for. A few days ago I met the owner of a mid-sized email marketing company in London. She was in the early stages of thinking about an exit from her company. As we talked about the mechanisms of selling a company, and how to leverage selling price through competition, she asked me a seemingly straightforward question – “What type of buyer do you think my company will attract?” At first sight a straightforward question, but not necessarily one that lends itself to a straightforward answer. So What Are The Main Types Of Buyer For Private Companies In The UK Market? This type of buyer is usually an individual, occasionally a small group of individuals, looking to buy their first business. Private buyers are typically focused on small retail businesses, or trading businesses that do little more than make the owners a comfortable living – the so called lifestyle businesses. Their preference is almost always for a business that has been in existence for at least 10 years, has a broad customer base and demonstrates steady sales and profits. It is unusual for a private buyer to buy a company with a turnover of more than £0.5m per year. In our definition trade buyers are independent private companies often with a turnover of between £2m and £10m. They are looking to expand by acquiring businesses in similar trades to their own. 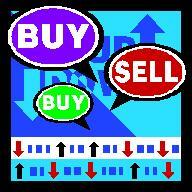 This type of buyer is the principal category of buyer for private companies in the £0.5m to £5m turnover range. They prefer longstanding companies with a strong presence in a particular market segment or region. The quality and resilience of the target’s customer base is always an important acquisition criteria. If buying into a new region or country the buyer will look for good profitability and a strong sales and management team. Lower profit, and even loss making companies, will be considered if the buyer believes costs can be reduced to restore profitability by consolidating with their own business. This type of buyer is defined by the scale of its own operations. Typically a listed company, often operating internationally, their turnover may be hundreds of millions per year or even larger. Often referred to as strategic buyers this type of company looks for businesses to acquire that have significant market shares in national or larger regional markets. Their targets are sizeable companies – at least £5m turnover but often £20m plus. They look for companies that have a well-developed product or service proposition, or distribution in blue chip customers, that can be leveraged by the acquirer to increase turnover and profit. Because of their financial strength they are often in a position to make an all cash offer. Often called venture capital or private equity these types of buyers are investment companies that buy businesses with an intention to improve them and sell at a profit within five years. They are looking for fast growing companies with strong management teams that need access to investment to build capacity for rapid growth. As the seller you will be expected to stay with the company, usually retaining an equity stake, and exit with the financial buyer at a substantial profit. In recent years this type of buyer has focused on larger companies – at least £5m turnover and often larger. They are not the type of buyer for an owner seeking an immediate exit or retirement.